Our menu plans start from $10 a month which is just 33¢ a day! Best offer: Join our 12 month plan and get 70% off your second year – it’ll only be $3/month! Begin your FREE 14 DAY TRIAL and get access to all features. Received a gift and want to redeem it? Your entire major holiday will be planned out for you, down to the smallest details of when you should shop and prepare what! Featuring Rosh Hashana, Sukkot, Pesach & Chanukah! I have cooked for many families, all with different tastes and requests. Each recipe is filled with flavor, unique but recognizable. If you encourage your family to try everything once, you will all be eating the same dinner together in no time! Will you use seasonal produce? All recipes are seasonal, but with ingredients that are reasonable and easy to find. Do you use a lot of processed ingredients? There are nearly no processed ingredients in what you will be making. The only things that will come out of bottles will be vinegars and oils. What quantities are the recipes in/how many servings? Each recipe yields 4 people but can be easily doubled/tripled or cut in half! What if I halve/double/triple - will it come out the same? How quick will you respond to comments asked about a recipe? My responses can be as quick as a few minutes, but could take up to 12 hours, depending on which country you are in, so be sure to look over the recipes when you receive them in the beginning of the week in case you have questions that you want answered before you go food shopping! Do you have ideas of what to do with leftovers? Nearly every recipe will come with advice on what to do with leftovers, and leftover fresh ingredients! Such as fresh herbs etc. What happens if we don't like a main ingredient? If you dislike or cannot eat ANY ingredient that you see in ANY of the recipes, you contact your private chef (me!) and will get a response of what you can substitute it with! What if i don’t keep kosher? This menu and recipe guide HAPPENS to be Kosher. It is not typical or traditional ‘kosher food’. It is focused on healthy eating, flavor, and to be beautifully presented. So if you dont keep kosher but want to eat healthy, flavorful and beautiful food, this menu subscription is for you! Will I feel full after the meal being that a lot of your recipes are carb free? YES! You will be pleasantly surprised how full you will be because these meals are well rounded and protein fills you up in a satisfied way instead of an overstuffed way. 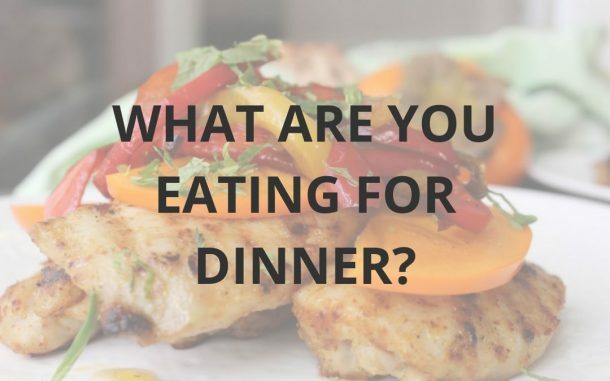 Why do you only give weekday dinner plans for Monday, Tuesday and Wednesday? 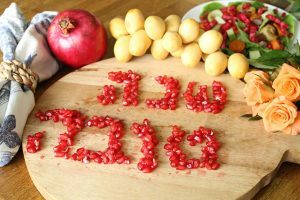 Sunday is time to food shop and have creative leftovers (tips will be given) and Thursday is time to prepare for shabbat and not have to think about an additional meal and just make extra of what you are making! Are the membership plans billed monthly or annually? We give you the flexibility to choose a 3 month, 6 month or 12 month plan. We only bill you one-time with no recurring fees. The 12 month billing is the best value for money but all the plans will save you hours of time and you’ll enjoy lower than average food costs too! If I want to cancel my subscription, do I get a refund? We offer no-questions-asked refunds to all customers within 30 days of your purchase. If you are not satisfied with our product, then simply send us an email and we will refund your purchase right away. Our goal has always been to create a happy, thriving community. If you feel this product does not suit you, then we have no interest in forcing you to stay a member. When I become a member, do I get access to all the old recipes too? You will have full access! What happens to the recipes from the past weeks which I subscribed to - do I get to keep them? As long as you are a member, the recipes are yours. 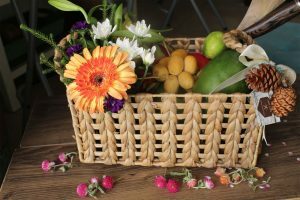 If you decide to quit the subscription, you will no longer have access to your recipe, gifts, or other tips and information. Can we print the recipes? The recipes will be very smart phone and computer friendly so you can pull them right up on your screen and look at them in your supermarket and in your kitchen. You can print the recipes, but being that this is a paid per person honors system, I would hope you would not share them with a non paying customer. What happens once I become a member? You’ll receive a welcome email which will detail your first steps. Once you login with your username and password, the website options will change so that you can easily access new and past recipes as well as your knife skills tutorial, the gift corner and all about running a stocked kitchen. Is there a discount if I want to sign up for a second year? Certainly! Any member who wants to renew will get an email when your membership is close to ending with a 10% coupon. But our latest and best offer is to anyone who signed up for a 12 month plan – you will be entitled to 70% off when signing up for another 12 months – that’s only $3/month for another year of tasty recipes and seasonal weekly plans!! Please remember this website was created to help you have a less stressful and more delicious and healthy week. Pay it forward by telling your friends to sign up but not giving them your username and password.